Stacking Bread Plate, 10^ diameter, available in 8 finishes. 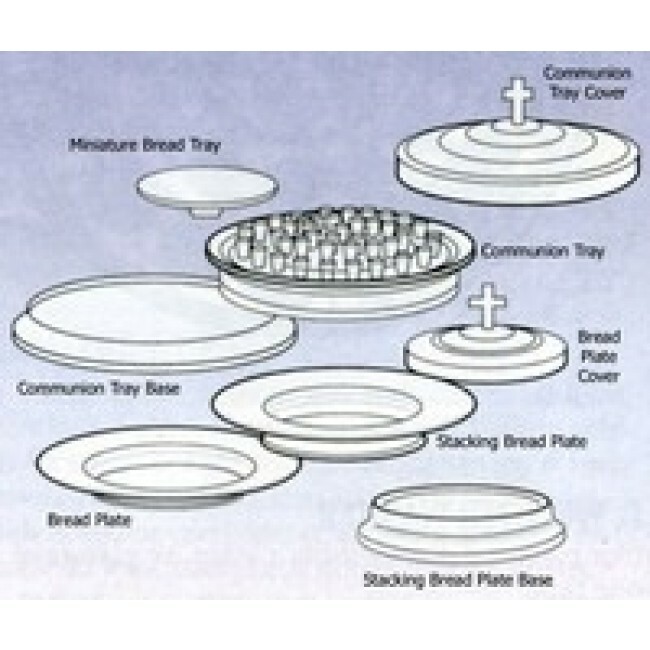 Beautifully designed Stacking Bread Plate, is ideal for a larger congregation. Save some expense on bread plate covers. Allows you the convenience of stacking atop each other. Available in 8 different finishes. Constructed to give many years of service.